Axis Of Oversteer: How to prepare your car for track season. How to prepare your car for track season. If there is one thing we learned at Axis over the last almost 10 years of beating on our cars hard it's that everything is a consumable, everything. Go over the car completely. Or at least as completely as you have gotten into it to modify it, plus a little bit. 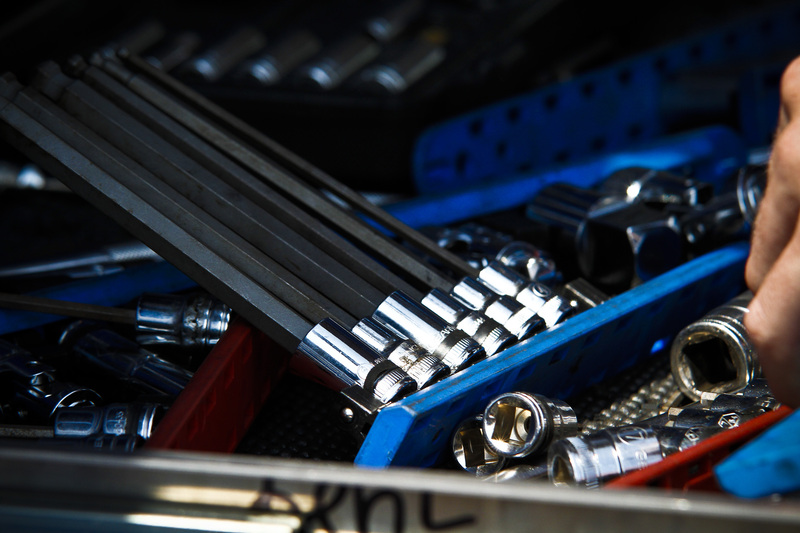 Things assembled at the factory have a tendency to stay together for a long period, but performance parts have a shorter lifetime, sometimes require additional care and feeding, and even hardware has a tendency of loosening up. Whether stock or performance, when you track a car hard or use it in a more demanding environment than the designers intended, things wear out faster. Contact an expert on your car and get their recommendations on what to replace, and remember to do this preventatively – if you are reactionary, you will be blowing a lot of money to be at the track, watching well-maintained cars go around while you work on yours. Consider the safety level of your car. 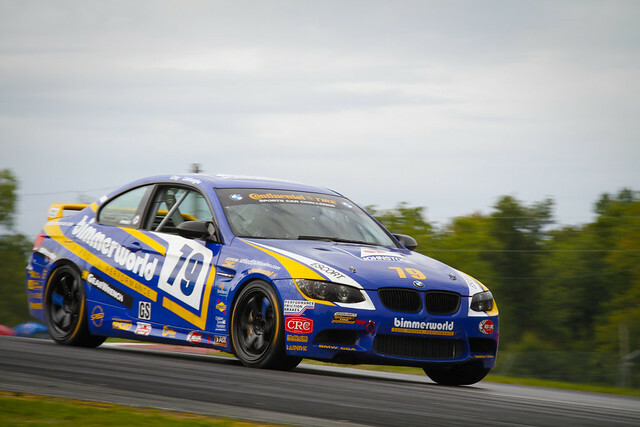 A lot of people are bringing street and multi-use cars to the track, that is certainly acceptable and expected, but do be aware of the risks we take on the track and consider installing some basic safety gear, even if it won’t make your car go faster. At a minimum, I would like to see drivers that are dedicated to this sport have harnesses and a HANS on. Schroth makes bolt-in 4-point harnesses specific to a lot of car models that are compatible with a HANS, and as a guy who has wrecked my fair share of cars, I can assure you that it can happen to you and a HANS will make you feel a lot better the day after, if not keep you alive in some situations. Nothing on your track car is permanent. This is a tough concept to swallow when you spend $1k per set of wheels ( or even per wheel for a nice forged piece) and yes, f you buy nice parts, they will serve you well, but everything on a tracked car has a maintenance schedule and a fatigue life. Some cheaper items like wheel studs and stainless brakelines should have an automatic periodic replacement interval. Pricier items like wheels should be very well cleaned and closely inspected periodically, both in the areas you can see when they are on the car and the areas you can’t. If you don’t have spares, buy some. Your spares package doesn’t need to be extensive but some basic items will save your tail, or make you someone else’s best friend for life. Some basic suggestions for any car are: fluids (oil and brake), brake pads (you know you are going to use them sometime), 2 of each accessory belt (yes, two so you can toss the first replacement if you don’t figure out why it was thrown the first time) and a radiator/expansion tank cap. This goes for an assortment of nice tools as well. Not having to walk the paddock or try to make some bargain bin tool work will make you a lot happier at the track when you inevitably have to work on your car more than you would want to. Make the most out of your track time and remember that practice makes permanent – perfect practice makes perfect… In 2012, “data system” means a data unit as simple as the new AiM SOLO for under $400. This invaluable piece of equipment will help get you up to speed faster and will be instrumental in your progression as a driver, no matter what your current level. When you are shopping, ease of use is critical and something with a predictive lap is a huge benefit. If you have a more dedicated track car, fully-featured dash replacement data systems start around $2,000 and with integrated warning lights, they are good protection for your cars moving parts. If you're seriously poring over data logs between DE sessions, you should be wheel-to-wheel racing. The most dangerous person at a DE is the red-misted tracktard trying to set a personal best in his license-plated street car. Those who have data usually are those who are smart enough to make an in estment in an empirical learning tool that will help them analyze and compare their performance. Personally I would make it mandatory at many , certainly advanced, driving schools... Along with wet skid pads ! The comment that "safety is very important" is certainly correct, however I cringe everytime I see a car with a harness but without roll over protection.. Correct me if I am wrong, but a harness without a cage is more dangerous than not using a harness at all. For me, a harness can only be used in conjunction with a proper roll cage (even a half cage is better than no cage). If no cage, no harness. Also, HANS is great if you afford it, but for the more weekend racers, then a simple neck brace is an excellent alternative. Furthermore I also understand that without a proper racing seat with head support wings, a good neck brace offers better neck protection in side impact accidents that a HANS device. I was wondering the same thing Michael, I've always heard/been told never run a harness without a cage and when I saw those quick fits I was intrigued because it's exactly what I need! I slide all over the place in my M3 's seats but can't commit to a cage just yet cause it's still a street car but can't see myself running a harness with no cage unless there is something I'm missing with those schroth quick fits. James what's your opinion on those? Just a few points for Michael and Jim. To put this in laymen's terms: A "simple neck brace" can act as a pivot point in certain types of wrecks. Extreme sudden deceleration (running into a wall) or side-impacts. These situations with a neck brace could actually induce more injury than otherwise without one. I don't know of any neck braces (foam donuts) that have been designed, simulated, tested, and actually crashed like the HANS. It's mandated in most major forms of racing for a reason. It saves lives. Yes, they're $1,000, but what is your life worth? Your spouse may be happy with the Insurance payment, but at the end of the day, you're dead. As for the harnesses, save for very rare roll-over situations (when the roof actually collapses over the driver) a 5-point harness (the ones with an anti-submarine strap (crotch-strap) are the safest bet. It may not be a fun ride, but it beats being stuff under the dash while the car rolls. But let's be honest, if you're going fast enough to induce a roll you need to be running a full cafe anyways, thus making it a moot point. Be safe people. I don't want to see you in my trauma center. I think the thing is you don't have to be going that fast to induce a roll at the track. I've seen an Mcoupe flip at buttonwillow just going average speed, it went off sideways and just started to flip. Roll overs are not that uncommon at the track and that's what we should be preparing for. I'd rather be safer and sliding around in my seat then strapped in going faster if it means I am safer in the unlikely event I roll the car. That being said I was really hoping to get those Scroth Quick Fits because they sound like they fit my exact needs but if they aren't 100% safe then it isn't worth it. Two schools of thought on the rollbar, and I was a long-time believer in no roll bar, no 4+ points. The Schroth specifically are designed to work with the factory seats and not require a rollbar. They do not have an anti-sub strap and they will allow you to slip under the waist belt, which is one of the concerns is harnesses with no rollbar. In a rollover, it is somewhat preference I suppose of whether you want to be flopping around without much holding you or be held more in place, for better or worse. 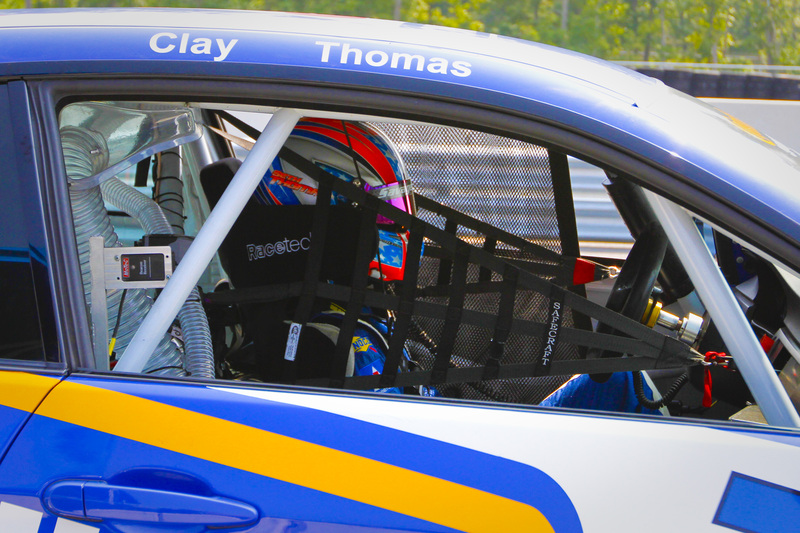 In a racecar or track-prepped car that has a rollbar, I want 6 points and to be strapped in tight when things start going bad. A 4 point doesn't give you that, but it is the good compromise without the rollbar I think. HANS is worthless without shoulder belts, but for what a lot of us spend, a Sport HANS (under $600) is a wise investment. People wreck cars all the time - you see 1-2 at most DEs. I know personally there is an immediate negative effect to neck soreness and I can't be productive at work or other things I need to do - I can pay $600 for that. Not to mention the long-term effects that won't hit until years down the road. I have to say that rollover risk is different at different tracks. Those of us in the Northeast have a greater risk of hitting something immoveable (blue armco at the Glen?) than rolling over. When I was out at Infineon, the track "intro" talk was something like "drop a wheel and you'll roll. Take the turn wide and you'll roll. Miss the apex and you'll roll..."
So there seems a lot of debate about the Schroth 4-points. To me, it seems they have engineered out some of the submarine risk,and having a HANS seems like a big + to me. Looks better than a stock 3-point and a helmet - am I right? I DD my cars so I can't fully convert to cage/6-point right now, and for 4-5 DE's/year this seems like a good solution. I was a firm 3-point proponent and after talking with the Schroth guys for about an hour one day and demoing all their belts at their display, I am good with their 4-points. Its not a matter of being held in tighter to go faster - I have gotten to the point that a 3-point doesn't bother me and there is no speed difference. It is a matter of how much flopping around you do (and what you can then hit) when things go bad. James, Carl Schroth himself told me, at the training seminar you sent me to a few years back, that using harnesses is demonstrably better in any real rollover circumstance rollcage or not. The reason is, if you roll with a 3 point you will hit the roof, it's coming down and you will go up. There is no way to avoid it, I've experienced this rolling an E30. With harnesses on, you are restrained tightly to the seat and this will keep your body and head a greater distance away from the collapsing roof. I think you should fly him out if he's willing every year or so to do a seminar for rookies and whoever wants to attend. I learned a ton from him in just 3 days. I like data too. I use a traqmate, would like to try and AIM at some point. But when coupled with an experienced instructor who knows how to read it you can point out mistakes and prevent some accidents from happening. Data gives a sense of what the limit is and where the driver must focus on improvement, without putting extra effort going 10/10ths in places that will net little gain. In your article you forgot to mention clean the car and remove items like floor mats, spare tires, and fuel jugs in the trunk before hitting the track. If the reason to get a harness is to be able to use a H&N device, consider the Safety Solutions R3. It can be used with 3 point seatbelt or harnesses. Well, I'm a race track fan and I see what you did there. The best way to suit it is to forge it. +1 for the R3. It's useful for instructors, since it can work with three point belts. 1) Simple lap times can prove "smooth is fast" to a doubting student. 2) for more advanced folks, data can help wring the last few tenths out of a track or show you where you are coasting, even if you swear you don't. Heh. Getting care insurance is very important. Las Vegas Car Insurance is sold by AMS check out there website. I was blown away by what a good idea it was to just put a simple sticker on your child's car seat in case of an emergency. will save your tail, or make you someone else’s best friend for life. http://bwexports.in/Contact: + 91 9878546522, Phone Number. 0161-4510015. The technical requirements for the HPDE are just common sense checks to make sure your vehicle is in good, safe working order. It is important for you to check out your car before trying to get it inspected. You and the shop only want to do it once per event. to include this. Please let me? Cheeeeeeers!!! !